This moon is 22 days old. 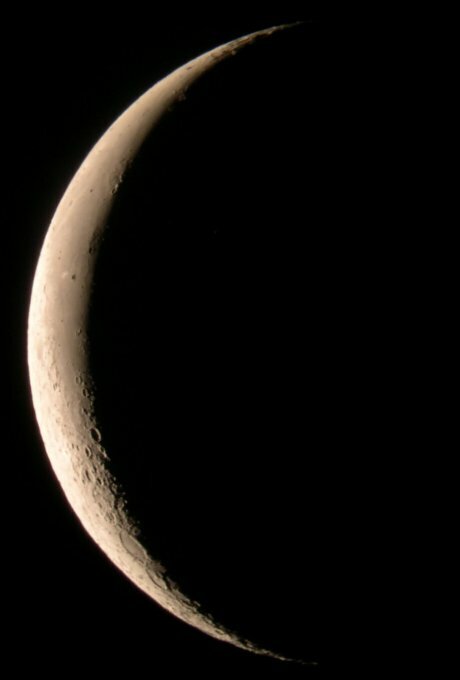 It's a waning crescent moon. 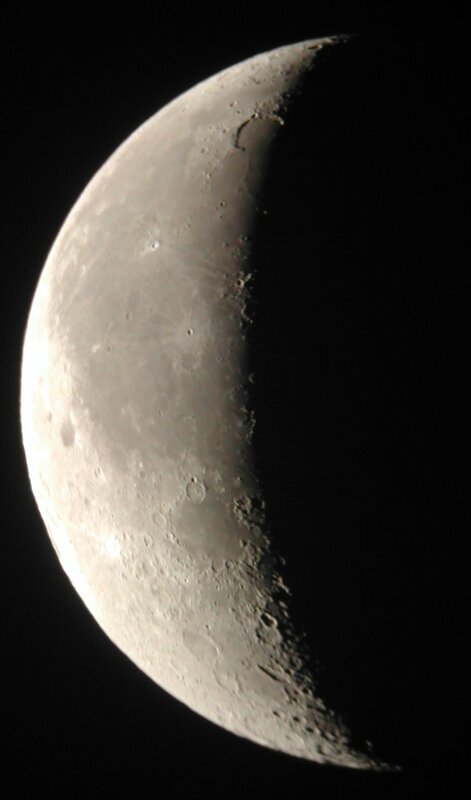 This photo was shot through an 8" f/6 Newtonian reflecting telescope. The photo was taken at 3:54 am EDT on July 3rd, 2002. Look for the Straight Wall east of the Sea of Clouds. It appears as a bright line now. When the sun was shining on it's other side, on the 8 day moon, it appeared as a dark line. Apollo 12 landed in the Ocean of Storms and Apollo 14 landed just north of the faint crater Fra Mauro. Moon's age: 22 days 8 hours 6 minutes. This moon is 23 days old. The photo was taken at 3:15 am EDT on September 30th, 2002. Moon's age: 23 days 4 hours 3 minutes. As the moon orbits the earth, it seems to wobble. This slight wobble is known as libration. 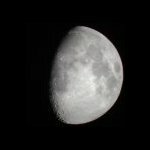 Compare this photo with the 22 day moon photo taken in July 2002. 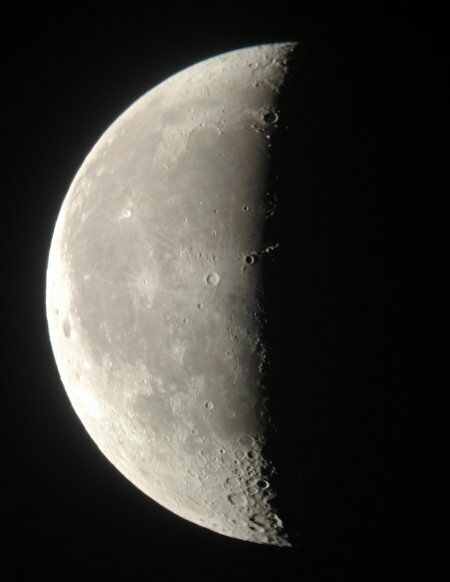 Look closely at the features near the limb to see the lunar libration. This moon is 24 days old. The photo was taken at 4:32 am EDT on October 1st, 2002. 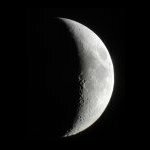 Moon's age: 24 days 5 hours 20 minutes. 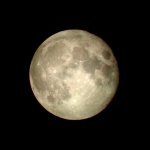 It's interesting to compare lunar features when the sun is shining from a different angle. Notice how different the Bay of Rainbows looks now compared to the 11 day moon and the 15 day moon. This moon is 26 days old. 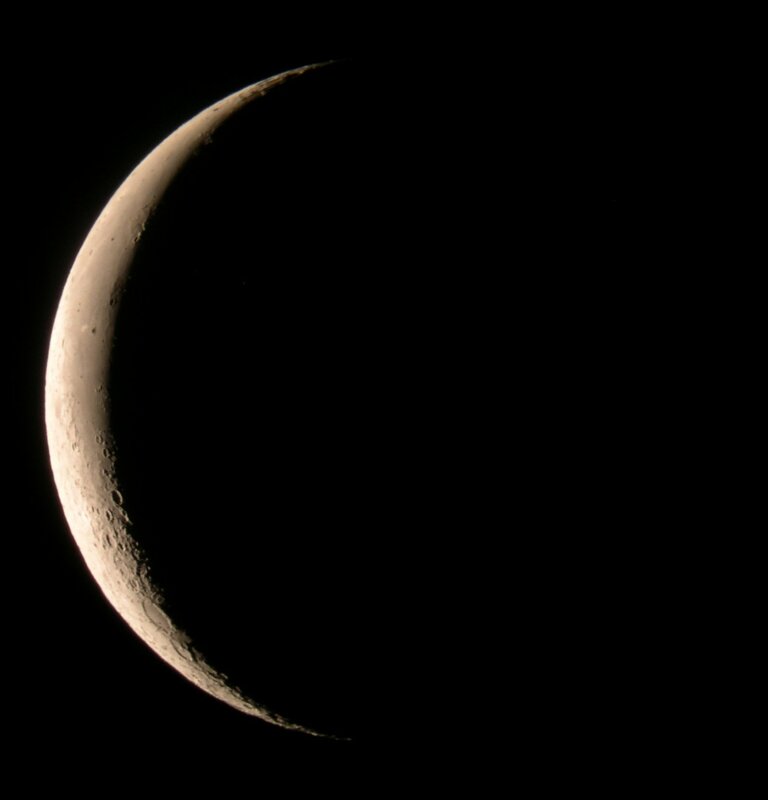 The photo was taken at 5:25 am EDT on September 8th, 2007. 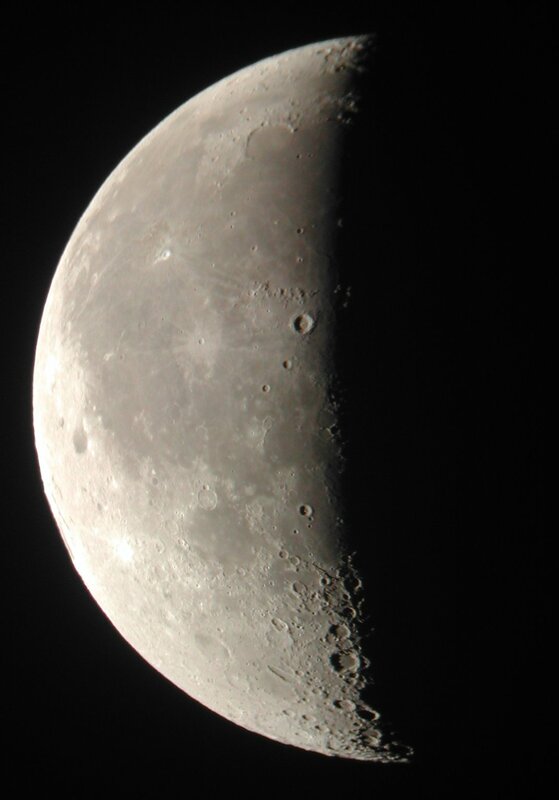 Moon's age: 26 days 10 hours 21 minutes. 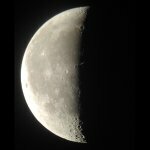 The photo was taken with a 4 inch f/12 Newtonian telescope. 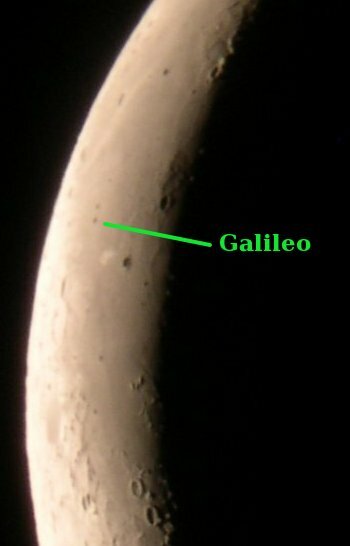 In the photo you can see the crater Galileo. With all the contributions to science made by Galileo, it seems a shame that he only gets this little itty-bitty crater. 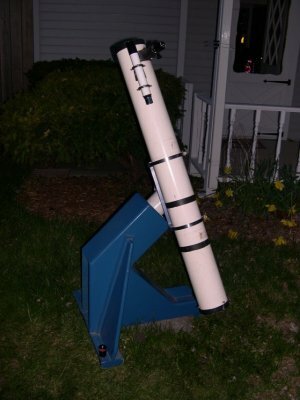 Here's a photo of the telescope I used for most of these photos. 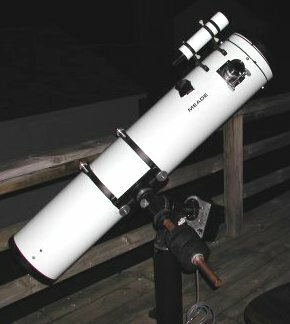 It's a Meade 8 inch f/6 Newtonian reflector. 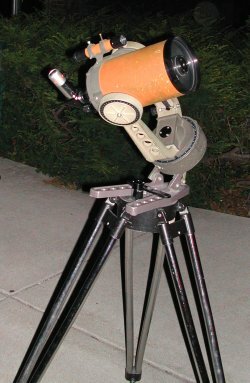 Some photos were shot through this Celestron C-5 Schmidt-Cassegrain five inch f/10 telescope. 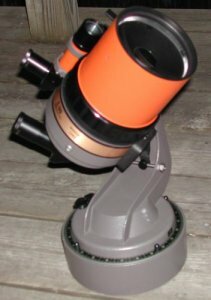 The 26 day moon was photographed through this 4 incher. I think it's about an f/12 or so.